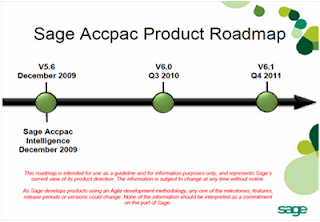 There have been much talk and anticipation on the soon to be release Sage Accpac V. 6. This version of the software is a leap forward for Sage Accpac ERP in that it presents the user with a browser-based user interface (UI) that has been designed using the Google Web Toolkit (GWT). 1. The new UI enhance usability of the product with user friendly interface and simplify navigation quickly and as intuitively as possible, based on their specific job duties (i.e it's roles-based). 2. The dashboard style screen, displays their mission-critical data in a graphical format, and allows user to navigate accordingly. Each user can personalize their own portal, and system security assures that each user will only be allowed to view or change information that they are allowed to access. 3. The UI also allows quick access to inquiries on an ad-hoc basis and facilitates the creation of quick information lists and reports. User-created queries can be saved and reused. Providing manager with KPI so they can better monitor business. 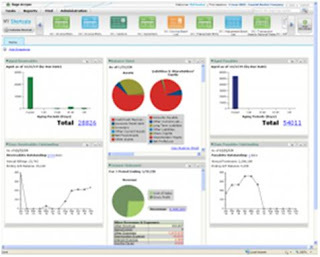 The new UI will replace the existing Sage Accpac ERP desktop. 4. Sage has also added significant functionality to SageCRM7 and to the Sage ERP modules. Improvements have been made to SageCRM in the area of quote-to-order workflow, which Improve Accpac integration with Sage CRM, so sales rep can be efficiently turn quote into sales order. 5. Last of all, a much requested change has been made to the ERP module functionality. Users now have the ability to lock fiscal periods by module. Modules can now be locked down until the fiscal period closing has been completed, preventing unwanted postings into the wrong fiscal period. 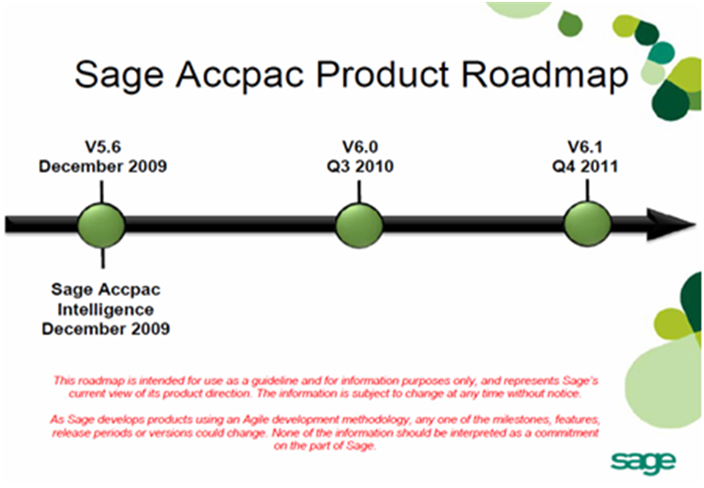 We shall see Sage Accpac V6 in Malaysia in the beginning next year. and it is eagerly anticipated by the Sage Accpac ERP partner channel and by end-users. The use of the GWT in the design of the UI, and in the design of the version 6.1A accounting modules, will bring Accpac ERP one step closer to being a truly web-deployable product. The new design will allow it to be deployed in a public or private cloud, and we'll undoubtedly begin to see a high end-user adoption rate for Accpac ERP delivered in a SaaS model. Sage has beta-tested Sage Live in the UK, and I don't think it's a stretch of the imagination to expect to see a version of it soon in Asia, using Sage Accpac ERP and SageCRM. For a short Video of Sage Accpac 6.